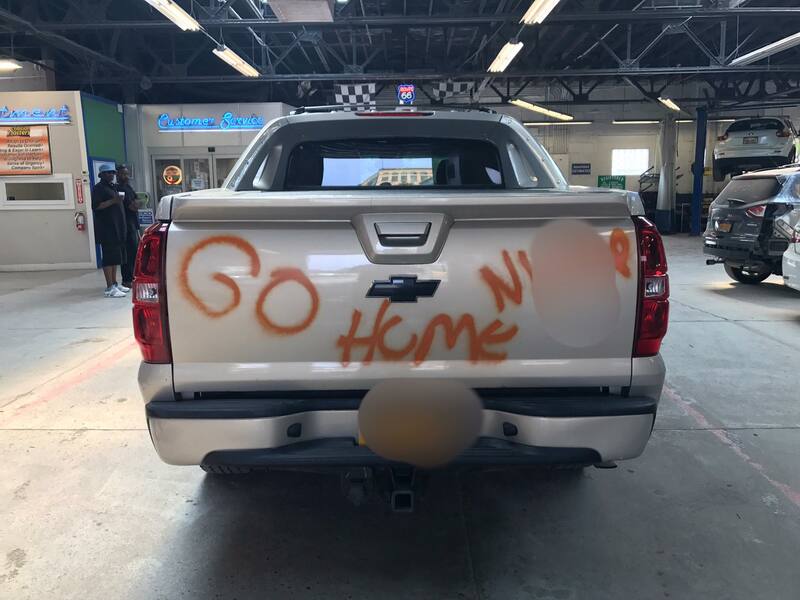 Collision Shop Workers Drop Everything To Clean Racist Graffiti Off Customer’s Truck. Race relations in the United States have come a long way in the past 60 years, but we still have a long way to go until all people are truly treated equally. 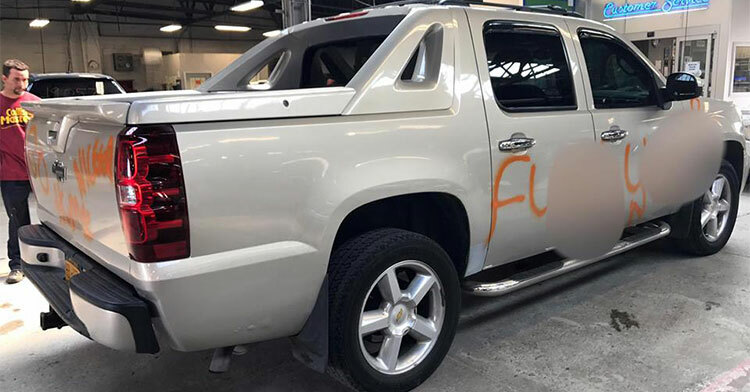 Each one of us must continually strive to support equality in our society, and one auto body shop did just that when they were suddenly faced with a horrifying act of vandalism that stopped them dead in their tracks. 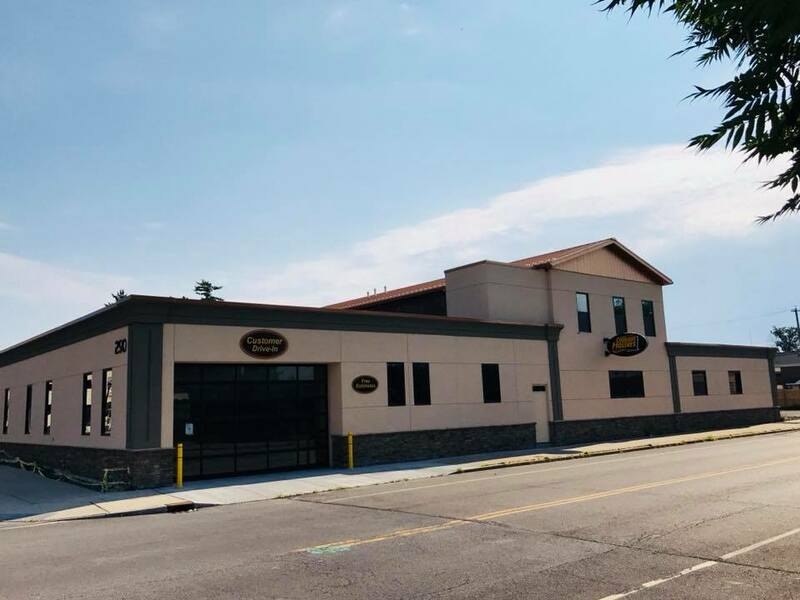 It all started one afternoon when a customer pulled into Collision Masters, LLC in Buffalo, New York. 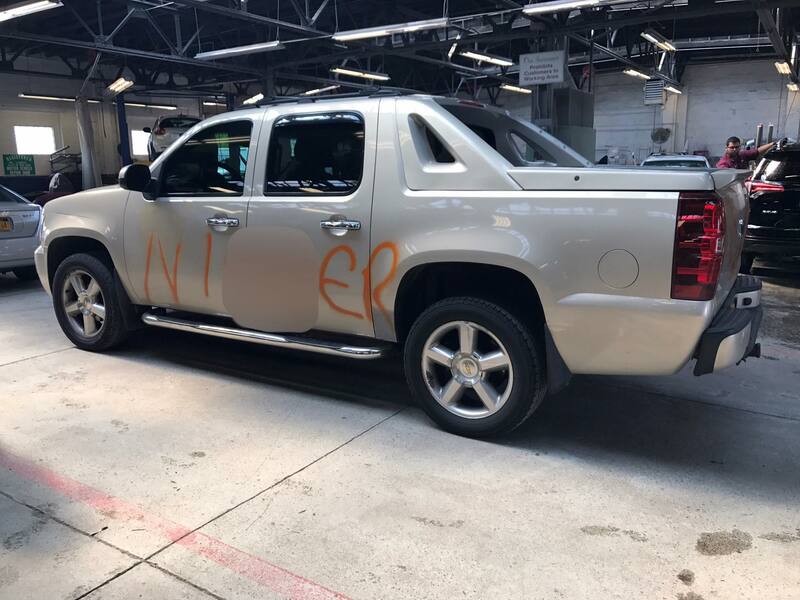 Racist graffiti was spray painted on all four sides of the truck. I looked at the driver and told him that ‘you are not leaving until I fix this!’ Literally my guys dropped everything and attacked this truck like a Pit Crew and got the job done. 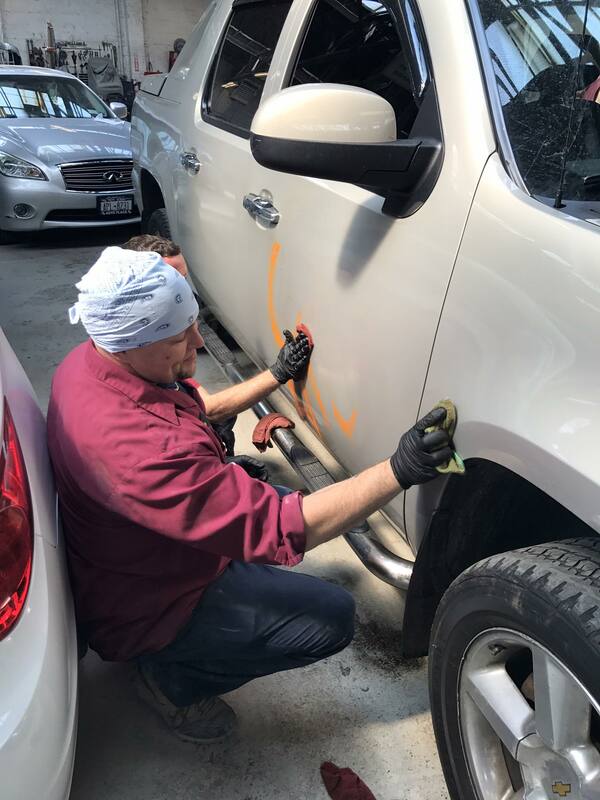 As the shop workers swarmed the truck, they seemed to be working to erase not just the nasty words painted there; they were working to right a wrong that goes much deeper than a coat of paint. They each knew intrinsically that it was their duty to restore not just the ruined truck, but the owner’s faith in humanity — the true fabric of our society. Quite frankly, we are all better than this, and these workers set out to prove that fact. The shop owner wasn’t finished there; he also made sure the victim of this heinous act would not have to shell out his hard-earned money to repair the hateful vandalism. What normally runs $700 was completely free. I told the owner of the vehicle this one’s on me and I wanted him to know that Buffalonians will never stand for this! Great job and many thanks to the team at Collision Masters. It breaks our heart that someone would write these vile words on another person’s property, but it’s good to know that there are hardworking people out there who simply won’t stand for this sort of thing. The more we all stand up against the evil we see in the world, the better off we’ll all be. Be the good you want to see! 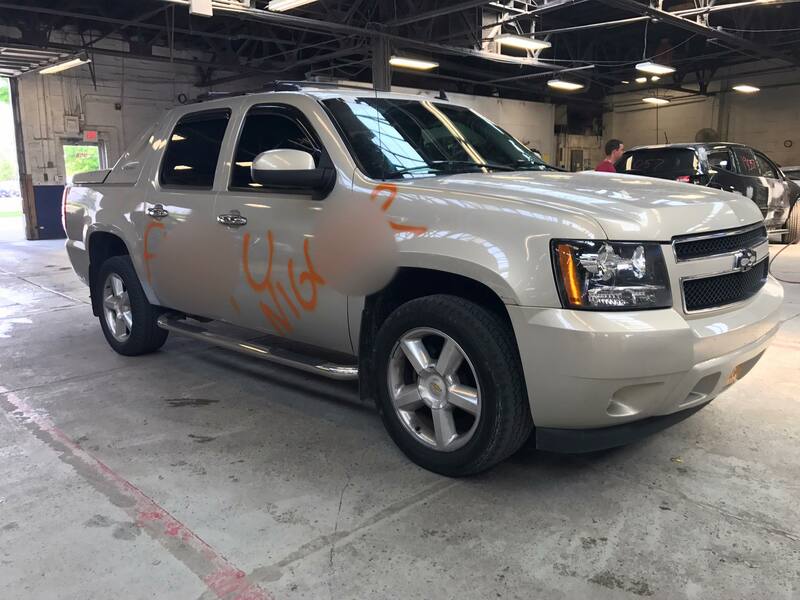 Please share this important message to say thank you to Collision Masters, LLC for showing this truck’s owner that good people will always outshine the bad.